Believe it or not there was a time when classic rock didn’t exist it was just new music. 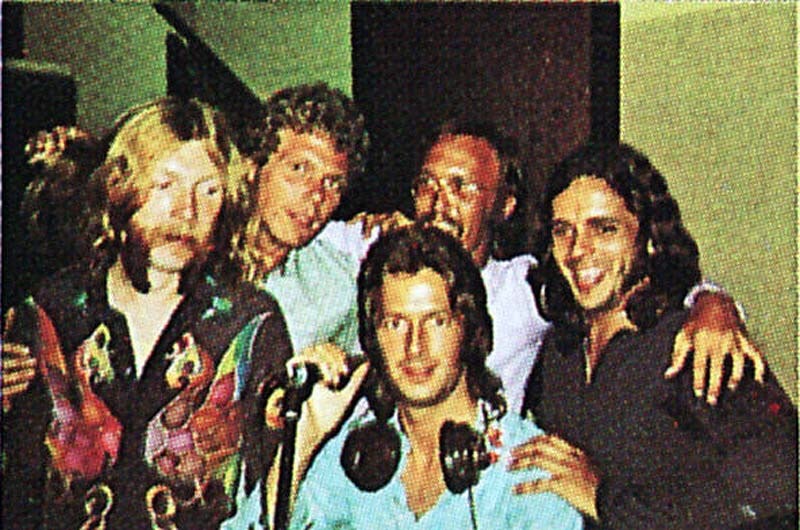 Imagine hearing Layla, not as a car commercial or guitar hero or background music but as a real live living thing by an unknown band Derek and the Dominos. Of course being only 12 or 13 I believed this was indeed a real band and this was probably a one hit wonder, I hadn’t heard of Clapton, I didn’t care who he was. I just knew this was a fantastic sound that I had never heard the like of before. The whole of the Layla and other love songs album is great, I never tire of listening to it partly because of the great feel of four or five excellent musicians actually playing in a studio together whether it’s working on some of Clapton’s best songs or jamming the blues. The four Dominos were great of course, a British guitar hero and 3 Americans who had been playing clubs and bars for half their young lives. When Duane Allman joins in his effect is incendiary, not only was he an amazing player in his own right but he lifts the others, especially Clapton to new heights. It was all down hill from here. Without Allman the band didn’t shine quite as much. Clapton was already dabbling with heroin (along with a truckload of other drugs and alcohol). When the Layla in question, George Harrison’s wife Patti Boyd, proved unmoved by his public declarations of love he threatened to go and become a heroin addict. Clapton managed to achieve this in no time dragging substitute girlfriend Alice Omesby Gore down with him. He was off the scene for a couple of years and returned eventually to become the commodity guitar hero we know today. Drummer Jim Gordon was even less lucky, a wide eyed sweaty armpitted character on the album sleeve photos, his mental health was in serious decline and he murdered his mother claiming a vioce had told him to do so. This happened in 1983 and he is still incarcerated today. Duane Allman went on to record the equally classic At Fillmore East with the Allman brothers but in a few months was dead from a motorcycle crash. I sometimes wonder what he might be like today, I rather suspect he would be alcohol bloated, waddling on stage Stetson crammed on head to hide the thinning hair. I do hope however that he would have gone on to show us just a bit more of his genius. That genius is apparent in this version which isolates lead guitar and vocals. Allmans playing is audacious especially towards the end of part one where he descends into micro tone madness. This entry was posted in memories of 70s, rock music and tagged 1970's, 70's biography, 70's music, derek and the Dominos, drums, eric clapton, jim gordan, rock music. Bookmark the permalink.